There is so much to learn and understand about the loan process when you are a first time home buyer, well to be honest first time home buyer or even if you have purchased before please come on out and learn with us. As you begin your house to make a home search, learning the process and what is needed in the loan process is a huge item. Being prepared will allow the home buying process go much smoother. Understanding the loan program that works best for you and your needs will help us to know the type of home we need to be looking for. The type of home to look for you may be asking yourself this right now ... what does that mean? Each loan program has requirements not only of the borrower but the house needs to qualify as well. Let's take this into consideration for a moment. How does a home qualify for the loan.... When we are out and about looking at homes and let's say the loan program that works best for you is an FHA loan. For the most part when you are using an FHA loan the home needs to be move in ready. Tonya Hudgins and the First United Mortgage Group will be hosting the Seminar and there will be so much to learn. A FREE MEAL as well. We are looking forward to being a part of the learning process. 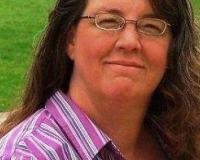 We are all about Gainesville TX helping you with all of your Real Estate needs. 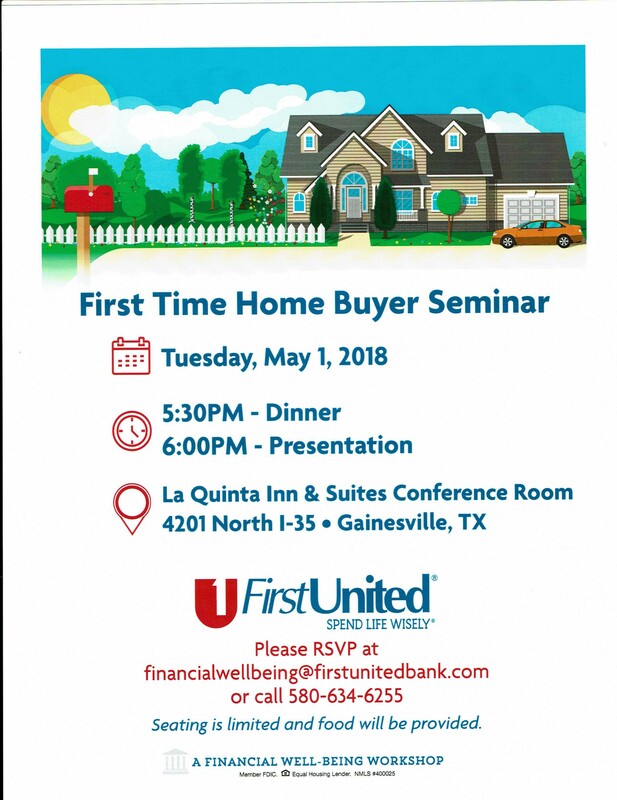 Looking forward to meeting you at the FIRST UNITED MORTGAGE GROUP First Time Home Buyers Seminar May 1, 2018 at the La Quinta Inn Gainesville Time 530 pm for dinner and 6 pm presentation begins. This is a learning seminar for all to learn as a First Time buyer what is needed in the loan process.